Explore the Big Buddha on this Private Chengdu Day Tour! 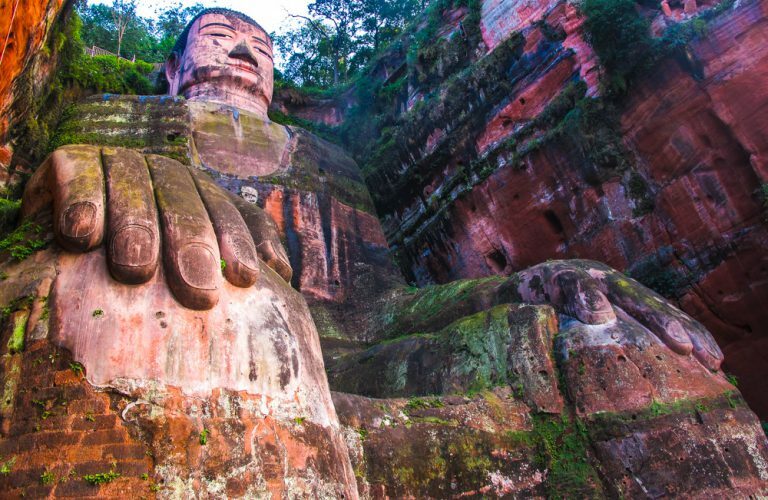 ​Join our team for this private guided Leshan Giant Buddha Day Tour, which includes a visit to the UNESCO heritage listed Leshan Giant Buddha, Buddhist temples and a delicious Chinese lunch in a local restaurant. 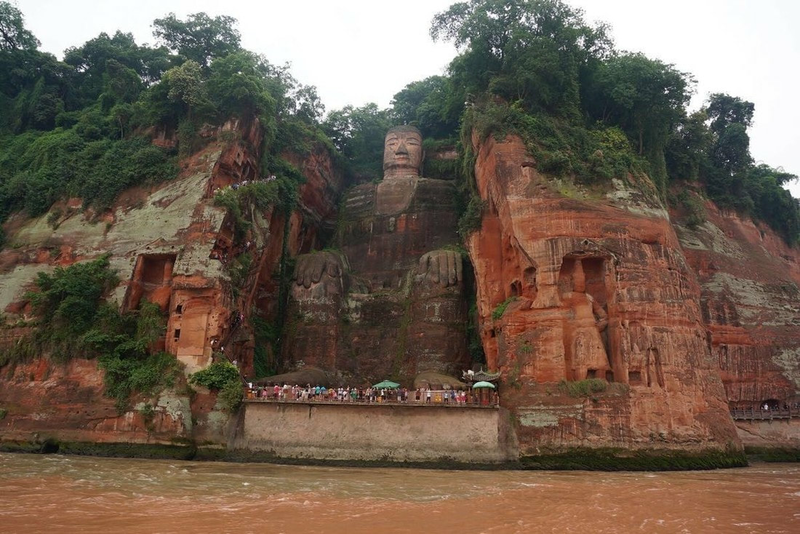 Please note: For the Leshan Giant Buddha, we have proposed and included a boat ride to largely avoid the queues and crowds at this famous attraction. Another option (not included) is to hike up & down the paths alongside the Giant Buddha. However, queues can take up to 2 x hours (waiting) to undertake this hike during busy season so please be aware of this in advance. People interested in hiking should wear comfortable shoes and clothing as well as be physically capable to undertake the uphill hike. During the morning (we recommend meeting at 8:00 am), your licensed English speaking tour guide and professional driver will meet you at your Chengdu Hotel Lobby to commence your day tour. Upon meeting, you'll travel directly to the Leshan Giant Buddha, which is located approximately 2 x hours away from Chengdu. The Leshan Giant Buddha is a UNESCO heritage listed site and also the largest outdoor buddha statue in the entire world! 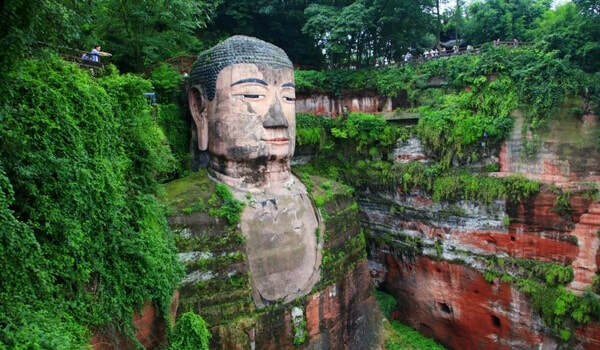 This incredible stone buddha was carved out of the hillside in 8th Century AD and stands 71 meters tall! Visitors from all over the world make the pilgrimage to Leshan to discover and experience this world famous attraction. Upon arriving into Leshan, visitors will board a boat to take a cruise past the famous Leshan Giant Buddha and admire its beauty from the nearby river. This is a comfortable and suitable option. Otherwise, there is also a choice to hike up to the sacred temple of the Grand Buddha (located alongside the statue's head), however, this isn't included in the tour (can be arranged on the day) as the crowd sizes can affect this experience. ​If you do hike up alongside the buddha, you'll be amazed at the intricate details of the Buddha's head as you get a close-up look, which even includes strands of hair! Continue walking towards the opposite side where you'll begin your descent back to the base, offering a number of different angles to take photographs from. Thereafter, enjoy lunch at a local restaurant specializing in Sichuanese cuisine. 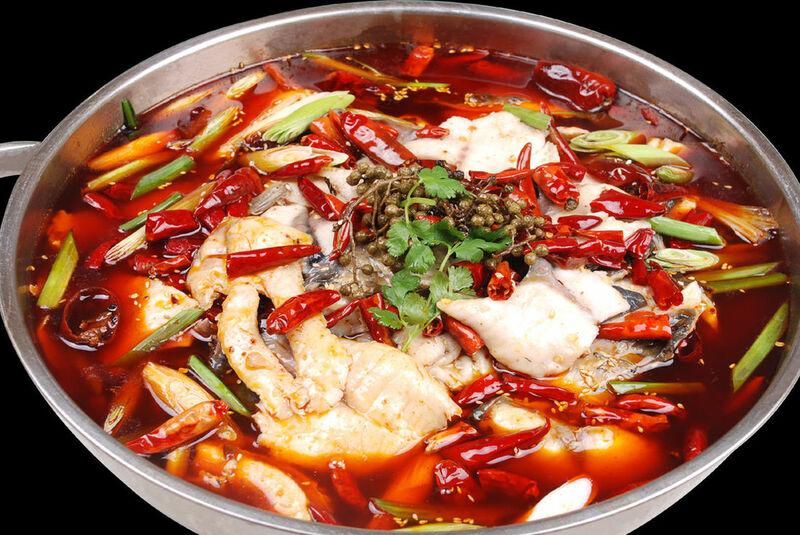 In Sichuan Province, the food is famous for being very spicy and visitors will be introduced to a famous dish - Sichuan hot pot! Alternatively, if you'd prefer to avoid the spicy food, we can also accommodate a range of other (non-spicy) dishes based upon your preferences. Please communicate directly with your guide on the morning of the tour or advise us via email after booking the tour. Following lunch, continue exploring the Giant Buddha - this time visiting the opposite side to discover the Wuyou Temple (乌尤寺). The Wuyou Temple is a pink walled building, featuring a large number of terracotta sculptures and calligraphic paintings. Even though lots of temples look very similar, Wuyou Temple is an exception and provides a unique experience away from the big crowds at the Giant Buddha. 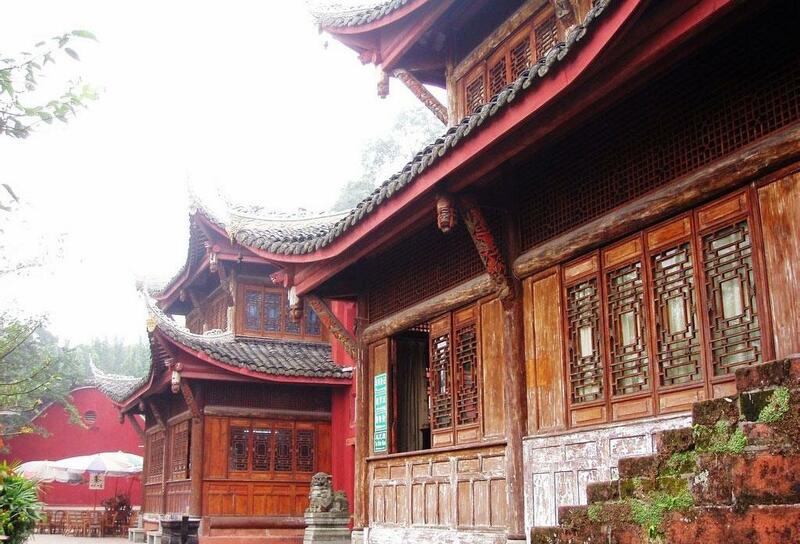 Thereafter, continue the tour by visiting the Arhat Hall (阿罗汉殿), located within the sprawling Wuyou Temple complex. Arhat Hall features 500 spectacular Arhat statues, which make this attraction worth visiting as well as the incredible panoramic views overlooking the converging rivers below! The tour will conclude with a transfer back to your Chengdu Hotel for evening at leisure. END OF TOUR.